Financial planners need to broaden their role and help clients understand their household expenses in the wake of the Royal Commission’s damning revelations. Australian households have racked up record levels of debt as interest rates have been cut to historic lows in recent years, but the Commission heard that most lenders still over-rely on the poverty-level HEM benchmark that underestimates true living costs. “The Financial Services Royal Commission has raised many disturbing issues across the banking and advice industry. It will inevitably lead to widespread and much-needed reform,” said Moneysoft CEO Peter Malekas. “However, we shouldn’t wait for the final report in 2019 to reassess as an industry, what we do and how we can better serve clients now. Cashflow management and budgeting are within the top unmet advice needs of everyday Australians, according to Investment Trends research. However, many financial planners are still concerned about turning that demand into a sustainable and scalable service. Without the guidance of a trusted financial planner, many people’s debt woes are likely to grow. Australians’ household debt to income ratio now stands at a record 188.6% . Around three in ten households (29%) were classified as ‘over-indebted’, with mortgage holders and high-income earners particularly susceptible, according to ABS data released in late-2017. The head of the Royal Commission, Kenneth Hayne, has also acknowledged concerns about people’s ability to understand their own expenditure before making major financial commitments such as a mortgage. “In light of the evidence that has been given, I think, by a number of witnesses, that by and large customers are poor historians when it comes to identifying their outgoings,” he said at the conclusion of round one of the hearings. Moves are already afoot for financial planners to take a broader advice role beyond investments and insurance. Earlier this year, a Productivity Commission draft report into competition in the Australian financial system raised the prospect of financial planners providing advice about credit-based products, including mortgages, without the need for a separate license. Last year, the now former CBA chief executive Ian Narev proposed “the potential extension of regulations such as future of financial advice to mortgages in retail banking” in a letter to the Retail Banking Remuneration Review. Moneysoft offers low-cost technology solutions that are easily accessible to advisers: Moneysoft Pro and Moneysoft Lite to help automate and build a sustainable service by cutting lengthy manual data collection and data entry requirements. 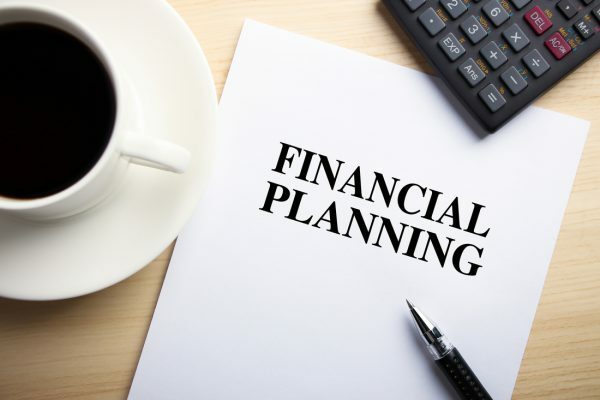 Both solutions are built on a platform that easily integrates with a range of popular financial planning software such as XPLAN, which provides clear benefits around efficiency and compliance. Simon Rayner, a financial planner at Dynamic Orange, says money management has traditionally been missing from the advice industry. He says he recently helped one professional couple cut frivolous and unplanned expenditure, helping them save $17,000. Moneysoft Pro delivers a complete financial money management service that enables deeper client conversations. It includes budgeting and cashflow, a full range of financial reports, real-time data, goal tracking, and account alerts. Moneysoft Lite offers a more cost-effective and streamlined money management solution that includes a financial health check and gap report.